Is your home just not selling? Tired of hearing why your home didn't sell? Do not automatically re-list with the same Real Estate Professional. What will he/she do differently this time? It's likely that everything he/she believed would get your home sold, has already been done. Price. If your home was improperly positioned within the market you have drastically reduced the number of buyers who will even consider your home; Riz will tell you the truth, THE FIRST TIME, about the value of your home and will make sure no money is left on the table. Exposure. Your home could very easily be well priced in today’s market, however if no one knows about it, it will not sell; Riz believes strongly that while the MLS is a very powerful marketing tool, your home needs to have multiple effective target marketing systems at work to ensure we generate the largest amounts of interest, and in turn bring the perfect buyer(s) to the table. Call Riz today to find out more about the Riz HomeSelling System!! A Real Estate Professional who will go to work WITH and FOR you. All too often we hear about the realtor who, once the contract is signed you never hear from them, and if you are fortunate enough to receive an offer on your home, will advise you to jump at it and won’t stand up to defend your position. Riz will go to bat to defend your price and hammer out the best deal for you and your home. I am more focused to ensure you receive the highest levels of service possible, I continually encourage you to ask us questions about the selling process and provide us with feedback so we can best tailor our services to your needs. When you give Riz the license to sell your home he will ensure that your home is effectively positioned so we maximize the leverage you have over the Buyer market and in the end sell your home FAST and for TOP DOLLAR. 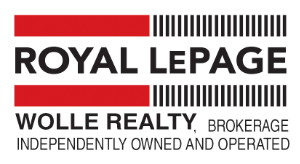 Can you afford to choose someone other than one of KW's #1 Top Producing Real Estate Professional, at Royal Lepage Wolle Realty, Brokerage (2005-2011)? You owe it to yourself to choose the Real Estate Professional with the most benefits. Talk to Riz first. He'll explain why we have the most benefits. He will show you the difference that his services can make.